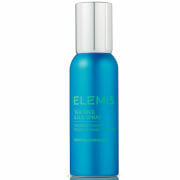 A soothing and hydrating mist that restores moisture balance after sun exposure. Can also be used to seal and encourage longer lasting make-up or to refresh your skin any time of the day. Appropriate for all skin types, including the most sensitive of sunburns. Spritz this replenishing aromatic mist any time during or after-sun exposure to refresh and rehydrate your skin. A delightful blend of Chamomile, Calendula and French Rose, balance and restore your skin' natural moisture. Water (Aqua), Hyaluronic Acid, Anthemis Nobilis (Chamomile) Flower Extract, Aloe Barbadensis Leaf Gel, Calendula Officinalis Flower Extract, Polysorbate 20, Methyl Gluceth 20, Glycerin, Dimethicone, Rosa Gallica (French Rose) Extract, Methylparaben. Use this for a make up finish or perhaps after you wash your face and before you put on your day or night cream. Just love the balance it gives. It is nice in winter when your face and neck feel dry, and nice in summer for a refreshing feeling during hot, hot days. It is a win-win product. I am now 60 and have normal to dry skin. This soft mist will set your make-up in the morning and with another spritz in the afternoon, refreshes it. Perfect for sunny days - put moisture right into your skin - feels fantastic!